Are you just starting out, or a school coach? Consider taking the NCCP Community Coach training workshop. The workshops are designed to be presented in 6 – 8 hours and provide much of the basic training for coaches. These workshops are ideal for new teacher/coaches who are looking to coach at the community club or elementary/high school level. Community Coach Courses are also an excellent resource for club volunteers (parents, etc.) who are interested in helping out at the club. For Coaches wanting more training or who are moving into coaching athletes going on to participate in Provincial Championships, there is the Competition/Introduction training level. ‘Comp/Int’ for short. Under Comp/Int, coaches can take one or both of the A and B workshops. After taking the workshop, the coach is considered ‘Trained’ at that level. The A and B workshops in wrestling are what is known as integrated workshop, meaning that you do not have to take a separate coaching theory workshop and then a specialized wrestling workshop – the two are integrated together. Each workshop runs approximately 12 – 14 hours depending on the instructor – known as a Learning Facilitator. Once you are A and B trained (that is, you have taken both workshops) you can move on to becoming ‘Certified’ under the Competition/Introduction program if you have in interest in Coaching at a higher level such as National Cadet/Juvenile Championships. To do this, you must complete an Ethical Evaluation. This is done through an on-line questionnaire through the Coaches Association of Canada (CAC for short). The on-line Making Ethical Decisions (MED) modules can be done at: www.coach.ca - you will need your NCCP number to complete this process. You receive this number when you complete the workshops noted earlier, or on request to the CAC (if you took the course recently and have not received your NCCP number yet). See note at the bottom of page two for more info on MED. To complete Certification for Competition/Introduction you must be evaluated. To be evaluated, you arrange with an ‘Evaluator’ (an experienced/Master Coach) to view a practice you run, along with reviewing the related paperwork associated with what you learned in the A and B courses – how to design a practice, having an Emergency Action Plan In place, etc.). 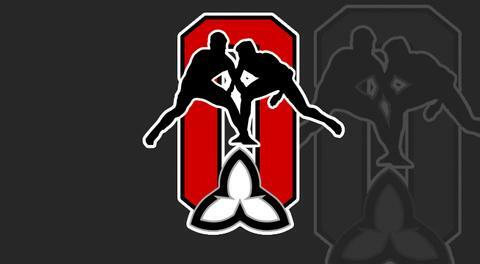 For more information on the Evaluation process, go to the OAWA web-site (www.oawa.ca) and click on the Coaches Section. There is also a list of Course Facilitators and Evaluators on the OAWA web-site. For existing experienced coaches and others with an extensive background in Wrestling, there is an opportunity to “Challenge” the Competition/Introduction level by going straight to the Evaluation phase. This is a very exceptional case for very strong coaches with a great deal of prior experience but who have not taken the A and B courses. For more information on Challenges, including minimum (OAWA) standards to qualify to challenge, please contact OAWA. Coaches who have completed the Competition/Introduction designation and are certified at that level can choose to move on if they will be coaching at higher levels such as the National Juniors/Seniors, Canada Games, etc.. Through the Coaches Association of Ontario (follow the web link from the OAWA site), review the process for obtaining the Multi-Sport portion of Competition Development. Multi Sport generic refers to the basic coaching courses common to all sports. Complete the Competition-Development program Wrestling Module. Be evaluated by a Comp/Dev Evaluator. Once Coaches reach a very high level of training (World Championships for example), they can continue to grow as coaches through the NCCP level 4 and 5 programs. These are very specialized courses run through the Wrestling Canada Lutte. Interested coaches should contact Wrestling Canada Lutte for more details (info@wrestling.ca). Note about Making Ethical Decisions: Please be aware there are different MED modules for Community Coach, Comp/Int, and Comp/Dev. Taking the course at the level listed qualifies you for that level only, meaning you must take the next MED when you go to the next level. However, if you take the highest level (Comp/Dev.) it qualifies for all three levels. Arrange an NCCP Clinic/workshop in your area if there is demand for it (usually about 5 – 10 coaches interested in a course is needed to schedule one locally). Provide details of courses currently scheduled, or communicated details as they become scheduled – watch the OAWA web-site. Assist with putting you in touch with a Course Conductor, Learning Facilitator, or Evaluator. General Inquiries: Please contact the OAWA for more information on Coaching Support! Please contact OAWA for a course in your area, contact info for course Learning Facilitators and Evaluators.